When the incredible seamstress Sandra of Sewist Stitch asked me to participate in the Blog Hop Around the World I was beyond honored. Sandra sews amazing classic silhouettes and she always adds a contemporary twists to her projects with her fabulous fabrications and divine detailing. Sandra also shares swoon worthy mid construction pics on Instragram which is something that I appreciate greatly! 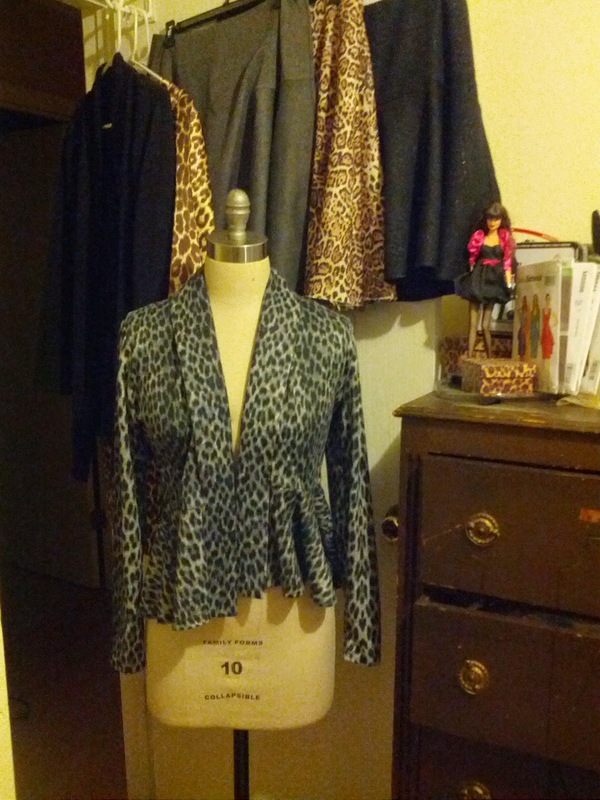 Sewing and blogging has become my introverted outlet (oxymoron). More times than not my sewing is self involved, I mainly construct garments for myself, by myself without close peers that share in my hobby. Don’t get me wrong my “little” hobby has infiltrated everyday life, those around me are sick of hearing me yammer about sewing and fabric (at least as much as I am sick of hearing about fantasy football). Blogging allows me share my sewn adventures; it is my outlet to the like minded and those who want to hear me ramble about my passion. My hope is that I can share my knowledge and possibly inspire like the other bloggers that teach me new tricks and inspire me continuously. When I say I am constantly sewing something that is an understatement…I am constantly sewing multiple projects. My sewing rhythm developed through a slow progression. Once upon a time I would cut one pattern and stitch it to completion. Over time I started to temporally neglect the finishing details on the first project and jump into a new project. Somehow it developed into a rotational system in my sewing room. I have bins of matched fabric and patterns and I will cut a slew of them (about 10 patterns) in one fell swoop and then I will sew depending on my mood. I tend to sew in themes: colors, patterns or silhouettes. 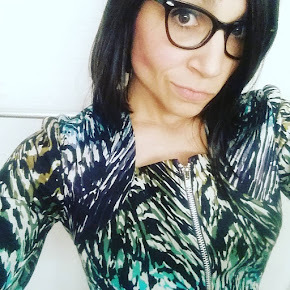 From time to time I will interrupt my own sewing rhythm get inspired by a challenge or sew-a-long in the blogosphere, this keeps me on my toes and allows me to feel connected to others who share in my passion. The down side is that my process this leads to a few UFOs…a big basket that needs finishing details. I am currently working towards completing some of them. So… what else am I working on? Making separates or wardrobe staples: cardigans, skirts, pants and a few tops for fun. Leopard, leopard and more leopard prints: This theme was inspired by the Cat lady Sewing challenge hosted by Miss Crayola Creepy. Sadly, I do not have an actual cat fabric stashed away however when I read that it was open to the spotted prints of the leopard variety I scoured the stash for the print and found quite a few projects that inspired me! And I am currently plotting a big project, The V1419 Vogue Sewalong. p.s. 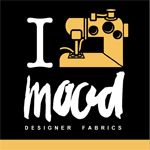 “Thank you Mood!” for sending fabric to the Arctic. I don’t know that it differs, per say. The goal of my endeavors is mainly to share my craft. I also aim to discuss my process and hopefully pass some of my knowledge along the way. The lovely Tasha of the blog A Tell Tale Tasha who exudes an amazing contemporary style. 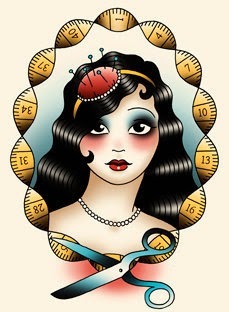 I adore that she stitches a wide range of fabrics and treats every sewing adventure as a learning experience. Keep making it work, girl! Oh I love the first image - that is so cool :-) I'm with you "introverted outlet"! Oooo looking forward to following along with your Ralph Rucci coat. Thanks for taking part in the Blog Hop it's been great to read about everyone's little slice of heaven. I think your process of cutting up a slew of patterns is wonderful! In fact, I think I will try it this week. I dislike the cutting, but if I got it all done at once it might help keep my productivity flowing. It was neat to learn more about you through this blog hop!